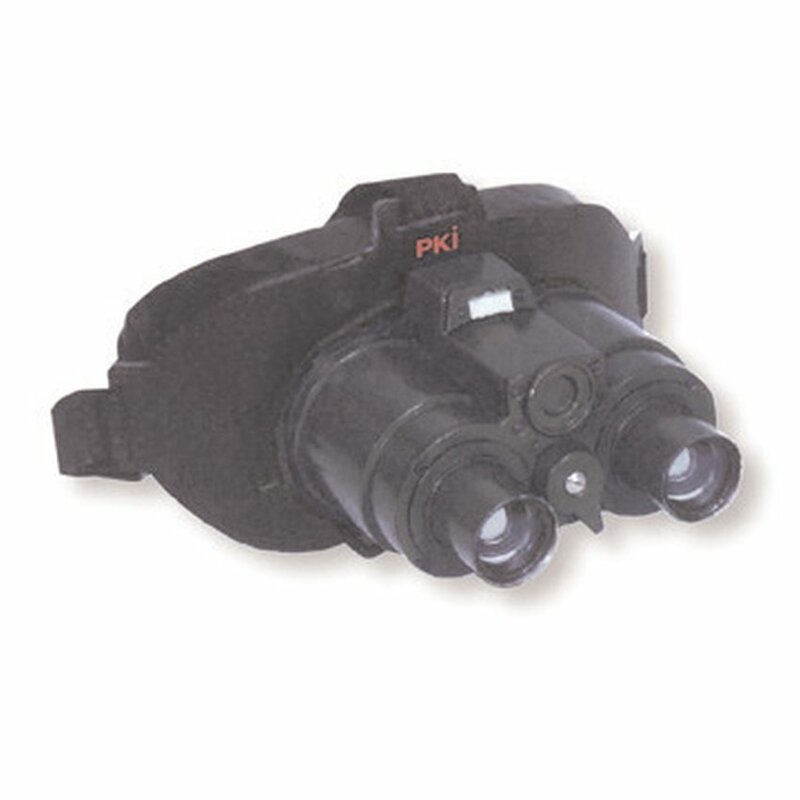 If what you need is hands free night vision, PKI ELECTRONIC INTELLIGENCE has the unit for you to drive or walk through the darkness with the confidence of a cat with our PKI 5245 dual eye goggle system. It is a low light level, head mounted, light weight dual eye / tube goggle being comfortable to wear and most easy to use. Surprisingly, even though we gave the unit a heavy coated glass lens, we were still able to keep its weight down to only less than 1 kg. Powered by two high quality light intensifier tubes and using fast precision optics this device has one of the clearest and brightest images in a goggle. Combine all the above with a built-in infrared illuminator that lets you see in total darkness and you will be on your way to exploring even the darkest of places. This is of most importance for the use of the PKI 5245 by public security, armed police forces protecting the streets, custom houses, nuclear power plant security, frontier and safe guards for night patrols as well as every member of military or industrial security staffs working in dark conditions. Wherever hands-free operation is required, the PKI 5245 offers the right solution. For the observation of suspicious objects in the dark or driving a car under no-light conditions, the PKI 5245 provides a comfortable and cost-effective solution. In a word, you can do nothing at night and in dark rooms without the <<a<cuse of the PKI 5245.